Yep, dance diversity is now at your local Target store (if you live in the USA). 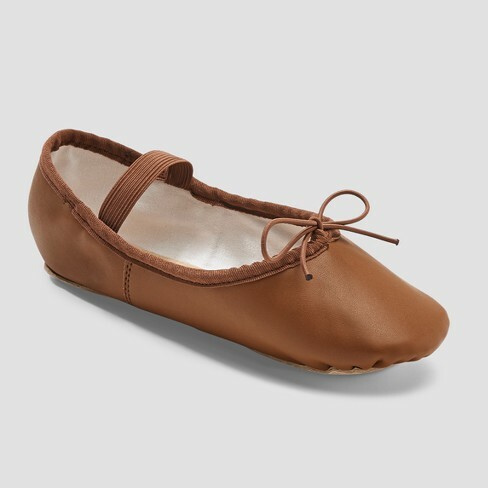 Danskin – a VERY large, long established, and multi-faceted New York city brand has started selling kids ballet shoes in brown at Target – with next to no advance warning to the ‘brown girls who do ballet community’. These leather ballet shoes are of course, long overdue, and they come in a very rich brown. A bonus is that the lining is cotton, so will guard against your little dancer kicking them off when her ‘feet get hot’. As these shoes are not available in all Target stores, it’s easiest to order online if you are in the USA. If you are outside of the USA, don’t bother. Target USA does not ship to freight forwarders and will not even accept payment from a Paypal account that is registered outside of the USA. Prices start at an affordable $14.99USD.